A Wartime Matisse Full Of Pain And Beauty An exhibit at the Art Institute of Chicago is the first to focus on the work of French painter Henri Matisse during World War I. Informed by war and modernism, the paintings Matisse produced in this period are a far cry from the vibrant colors and dynamic patterns he's best known for. A close look at Henri Matisse's Portrait of Yvonne Landsberg shows how he used the end of his paintbrush to give texture to layers of paint. 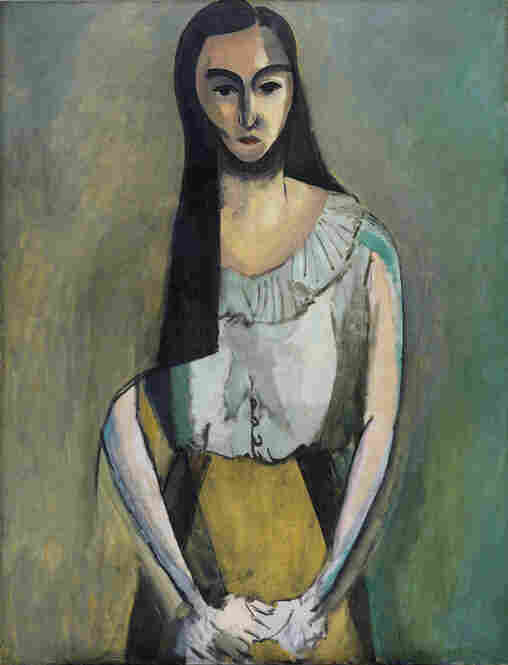 Portrait of Yvonne Landsberg by Henri Matisse, 1914. Bathers By A River by Henri Matisse, 1909-10, 1913, 1916-17. 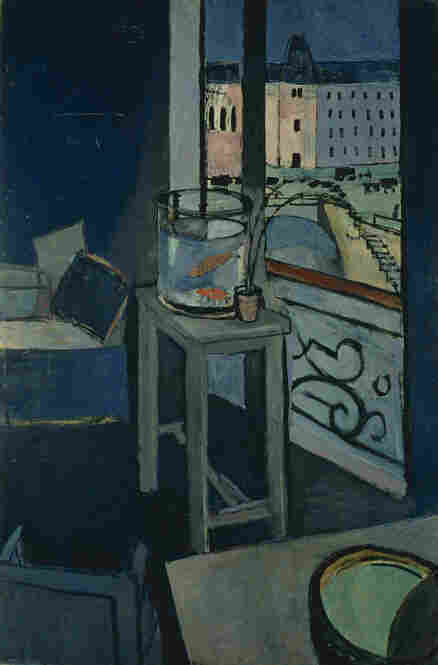 Interior With Goldfish by Henri Matisse, 1914. The Italian Woman by Henri Matisse, 1916. 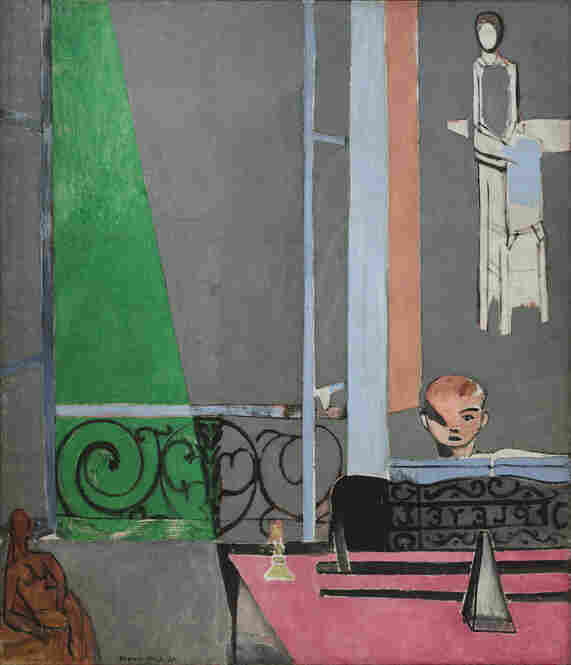 The Piano Lesson by Henri Matisse, 1916. 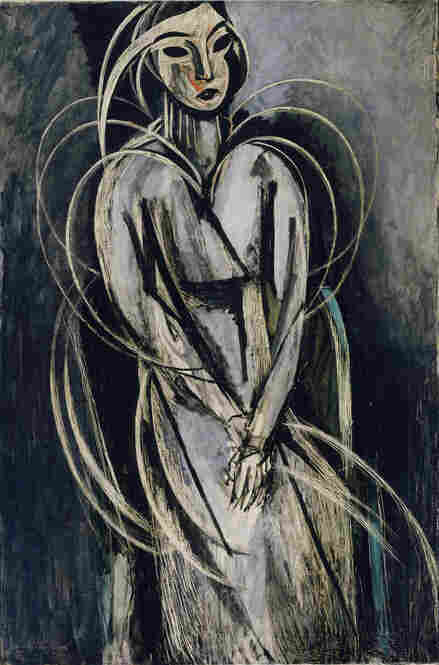 Eva Mudocci by Henri Matisse, 1916. Flowers and Ceramic Plate by Henri Matisse, 1913. There's a little-known true story about Henri Matisse in which the French painter walks into a cafe and, when all the patrons stand up to applaud him, turns to his friend and says, "Oh, they must think I'm Picasso." It's funny. It's sad. And it helps explain the thrust of a new exhibit at the Art Institute of Chicago. Unlike the majority of Matisse exhibits that fill galleries across the world, Matisse: Radical Invention, 1913-1917 is not made up of idyllic seascapes, vivid flowers and voluptuous women. In fact, with its stark compositions and austere colors, the show reveals a side of the iconic artist that is relatively unknown to the museum-going public. Radical Invention picks up in 1913, after Matisse had left the bright sun of Morocco for Paris and on the eve of World War I. He was 44 years old and trying to reinvent himself, feeling the threats of war and modernism -- and his friend Pablo Picasso's paintings of primitive faces -- breathing down his neck. The exhibit chronicles the artist's confrontation with cubism, abstraction and with the turmoil of war that surrounded him. 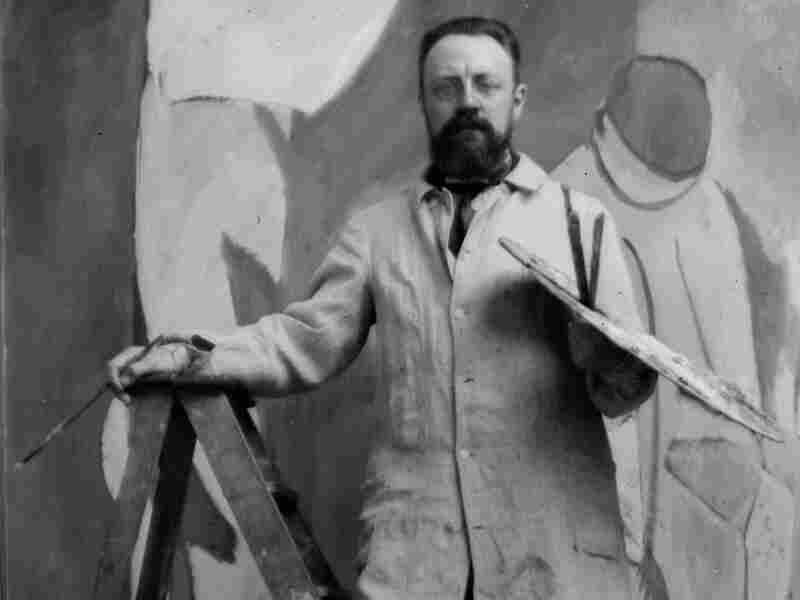 Henri Matisse quit the study of law in 1891 to become a professional artist. "There's never been a book, there's never been an exhibition devoted to this period," says Stephanie D'Alessandro, co-curator of the show. In the years leading up to and during World War I, Matisse set aside the exploding color and easy lines that had already made him famous and began grappling with the tamped down colors and sober, analytic styles of cubism. Portrait of Yvonne Landsberg (1914) is an early product of this transition. 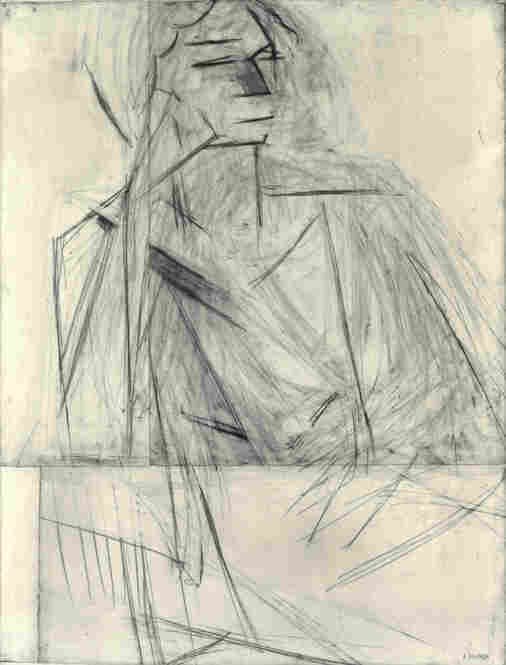 In it, Matisse gives his subject a primeval face constructed with layers of dark color. He uses the hard end of his paintbrush to incise lines around the portrait, right through the thick pigment -- lines that seem to move like beating hearts. "It became clear to us that he was embarking on something new," D'Alessandro says. "He was embarking on something that seemed specifically modern." So, it seems, was everyone else. 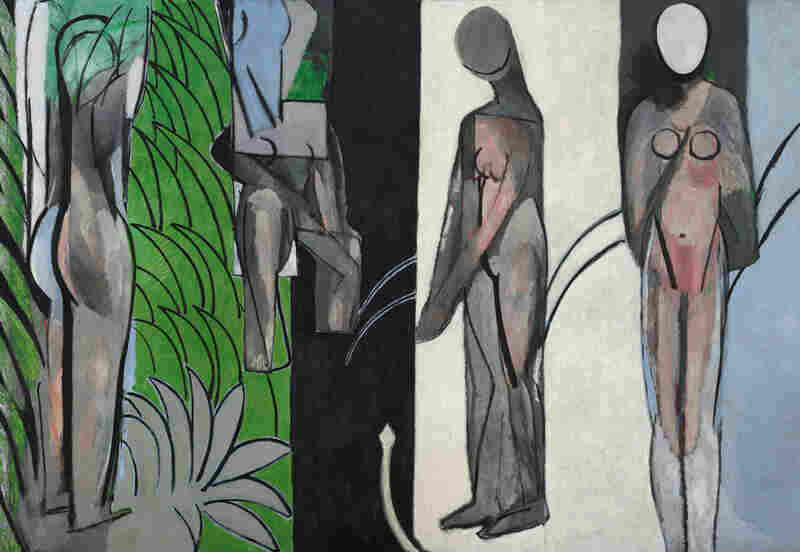 That very year, the First World War broke out in Europe, and Matisse was desperate to enlist. He bought himself soldier's boots and took a medical exam but was rejected from serving due to a weak heart. Crushed, Matisse wrote a letter to his friend Marcel Sembat, a government minister. D'Alessandro argues that the resulting exchange was a crucial moment in Matisse's artistic development. "Sembat responds by saying, 'What you can do is continue to paint well,'" D'Alessandro says. "And what I think Sembat means, and what Matisse takes on, is the idea of continuing with great French painting at a time when it was being threatened by the enemy." With many of his friends fighting on the front and shells exploding within earshot of his studio, Matisse embarked on large, physically challenging works -- layering and scraping and scratching the paint as he never had before. He reached one of the high points of his career -- and of the show -- with his monumental Bathers by a River. 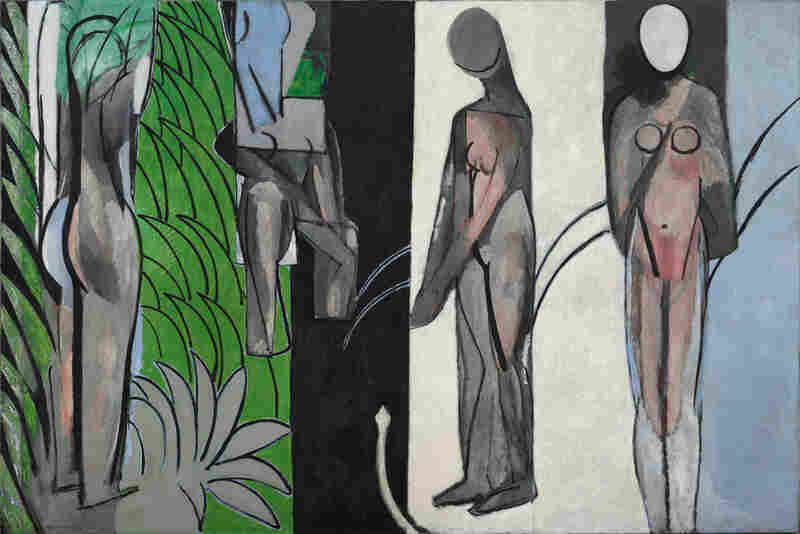 In it, Matisse takes a traditional pastoral scene and makes it more ancient and more modern, balancing tension and peace, figure and emptiness in an image of four nudes at a river. "We're looking at it now, all these years later," D'Alessandro says, "and it's still a picture which is chilling and beautiful." The painting reminds D'Alessandro of a phrase from Shakespeare: "gorgeous tragedy." It's fitting because war was the tragedy of Matisse's art during this period. As the German army advanced on Paris -- occupying his hometown of Bohain-en-Vermandois, France -- the artist sold prints to buy food to send to his compatriots and refused to do solo shows while his countrymen were fighting. 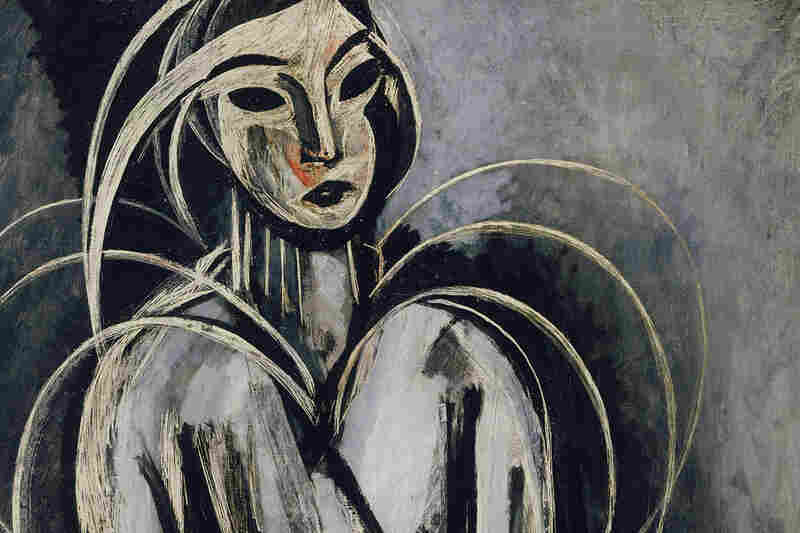 Because of this, the show's co-curator, John Elderfield of the New York Museum of Modern Art, believes there's a significant message behind Matisse's wartime art. "I think that what we learn from Matisse is that if we feel that we are engaged in a war which is a just war, that our culture should be responding to it in an appropriate way," he says. 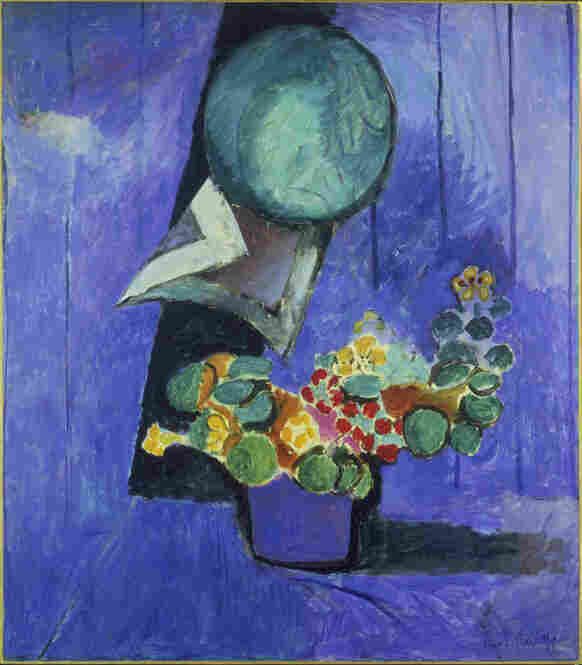 In late 1917, Matisse's period of artistic experimentation and exploration came to an end. He left Paris and moved south to Nice, where he went on to paint the colorful, lyrical work he's best known for. But it's impossible to fully appreciate this later work without understanding how he got there; behind those seascapes and flowers lie his struggle and sincerity in the face of a great world war.